New Releases: 15th April 2019. 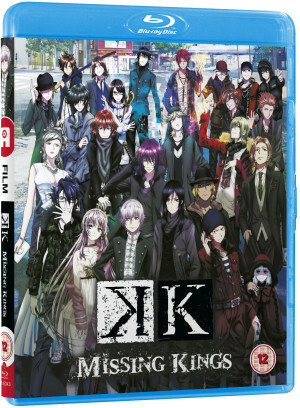 K: Missing Kings on Standard Edition Blu-ray. Easter is almost upon us – a point you should bear in mind for later today incidentally – but before we come to that we have other important matters to discuss… the matter of another new release Monday! This week sees the theatrical instalment of the K franchise, Missing Kings, come to Standard Edition Blu-ray, with its follow-up series Return of Kings arriving at the end of the month. Let’s dig into it a little deeper, shall we? Synopsis: “Silver Clan members Kuro and Neko are on a mission to find their king, Shiro, who went missing after the battle on the School Island involving four of the seven coloured kings. During their search, the two discover that Red Clan member Anna Kushina has become the target of the mysterious Green Clan, which intends to use the girl’s special power to track down Shiro. Contents: Contains the film in English and original Japanese with English subtitles. Aside from new release, this is also an opportune moment to remind you of our current hot pre-order product, as we’re now taking orders for our Season 1 Collector’s Edition of hit Netflix animated series Castlevania! This product is selling like hot cakes, so don’t miss out – you can pre-order now exclusively from our friends at Zavvi, or via our very own AllTheAnime.com store. No new releases next Monday, but we have another exciting pre-order product coming your way this week, as well as some other goodies that we hope will tempt you in the run-up to Easter… Until then though, take care!